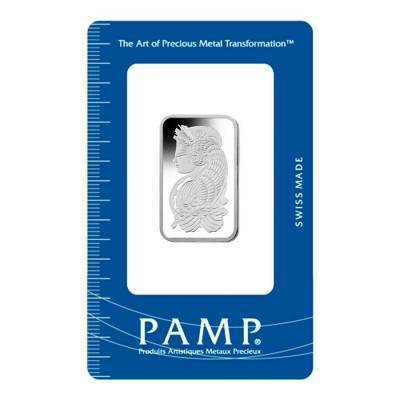 Each of these PAMP Suisse Platinum Bars is composed of 1/2 troy oz. of .9995 fine platinum for a total of 12.5 troy ounces. 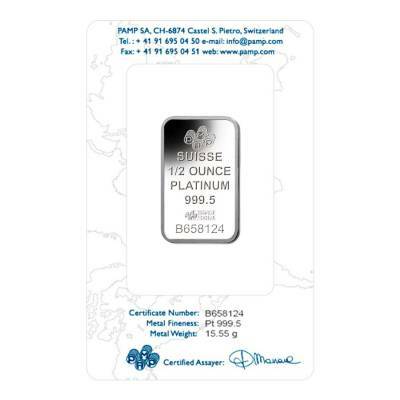 The obverse features the well-known Lady Fortuna design which is shown on most PAMP Suisse bars. On the reverse is the PAMP Suisse logo, along with the weight, purity and unique serial number. 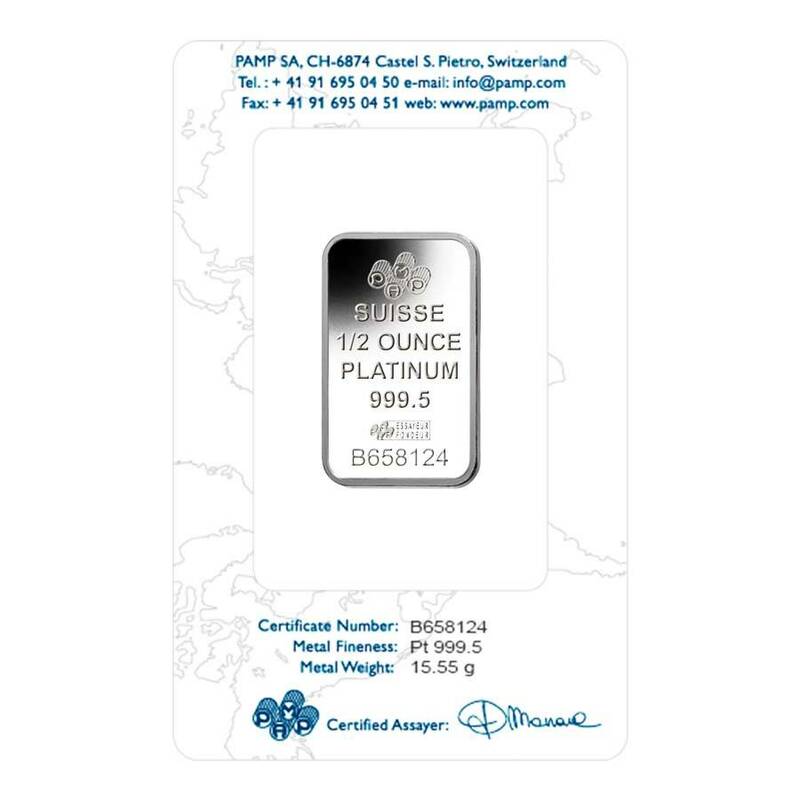 Like all of our other platinum bars, this one is guaranteed to be 100% authentic. 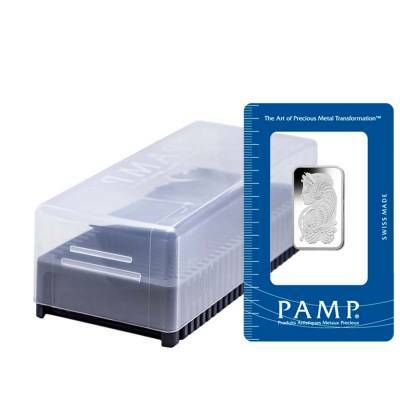 Item will be wrapped and packaged safe for delivery. For every $1 spend, you will earn 1 Bullionaire Buck which is equivalent to $0.001 off a future purchase. 12073 BB = $12.07.